Viking Age shield boss replica based on a Swedish find. 3mm (12 gauge) thick, and 15 cm across the flange. Supplied with hand-forged nails, two of which are longer, for driving through the handle and clenching over. 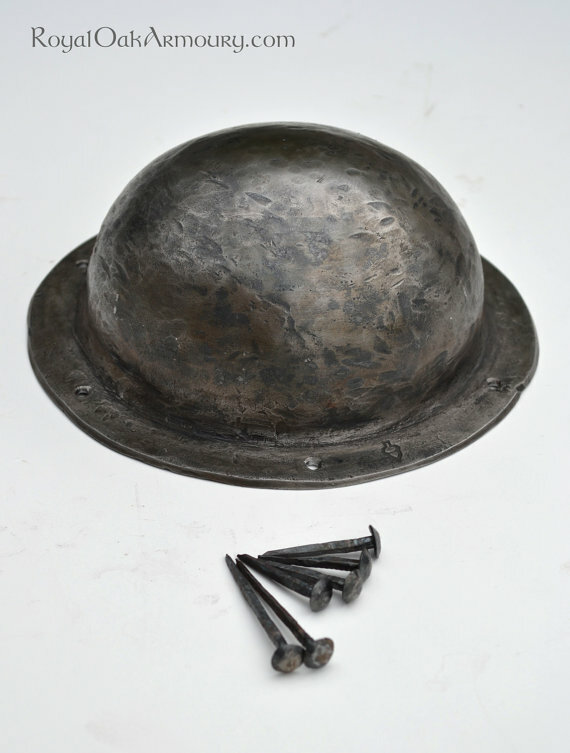 We have plenty of research on other boss finds and shield fittings that we would be happy to replicate, so if you are looking for something you are not finding here, please feel free to contact us.